Light greenish-grey soft leaves. 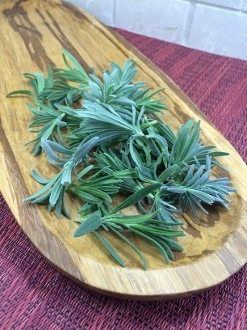 Sweet lavender flavor, intensely aromatic. New, unique version of fresh lavender. Perfect flavor addition to any sweets, including fruit or chocolate desserts. Pairs well with poultry dishes as well.